46 Aviation perform captivating air-displays in it’s impressive aircraft at several events across Europe each year! The team also manage the restoration and operation of historical aircraft, returning them to airworthy condition, maintaining them and exhibiting them in all their glory, keeping their historical splendour alive! Today the growing 46 Aviation fleet includes a Yak 9, Schlepp C-3605, Bücker Jungmann, Extra 330SC, a Socata TB20 and a Wingwalking modified Boeing Stearman. As well as this, there are three Messerschmitt BF109s, a P40 Warhawk and an additional Schlepp C36 currently undergoing restoration to join the expanding 46 Aviation Flying Fleet. 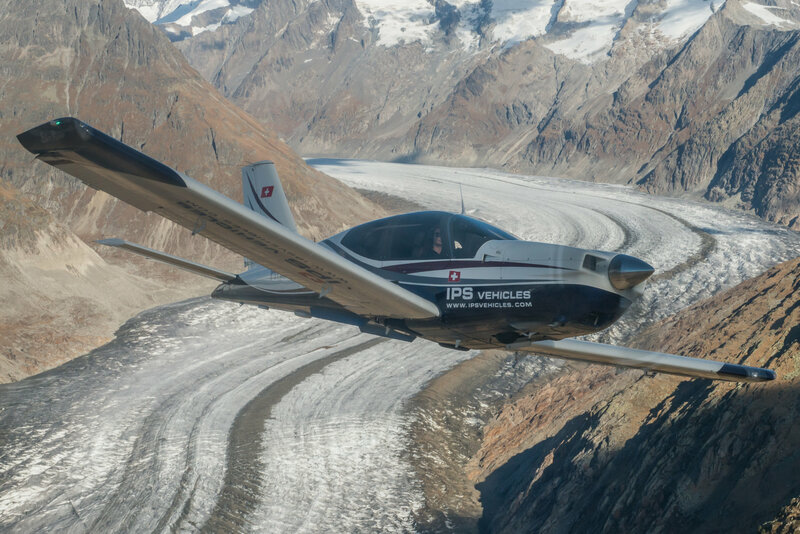 46 Aviation also provide touristic flights in most of it’s aircraft over the Alps and dramatic Swiss scenery, including it’s Socata TB20. If you are interested in 46 Aviation’s services, please contact info@46aviation.com to discuss how we can proceed. 46 Aviation’s CEO Emiliano operates and pilots the entire 46 Aviation diverse fleet, after establishing the company in 2009. Of Italian origins, he came to live in Switzerland at the age of 10 where his passion for the idea of flight blossomed. Inspired by his mother, who was working towards her private pilots license, his interest in aviation grew as he spent a lot of free-time hanging around at the local airfield watching her fly. Aged 17, he gained his private pilots license and initially began to practice in touring aircraft. Soon after this he was eager to move on to something more energetic and this led him to a flight in the Extra 200. 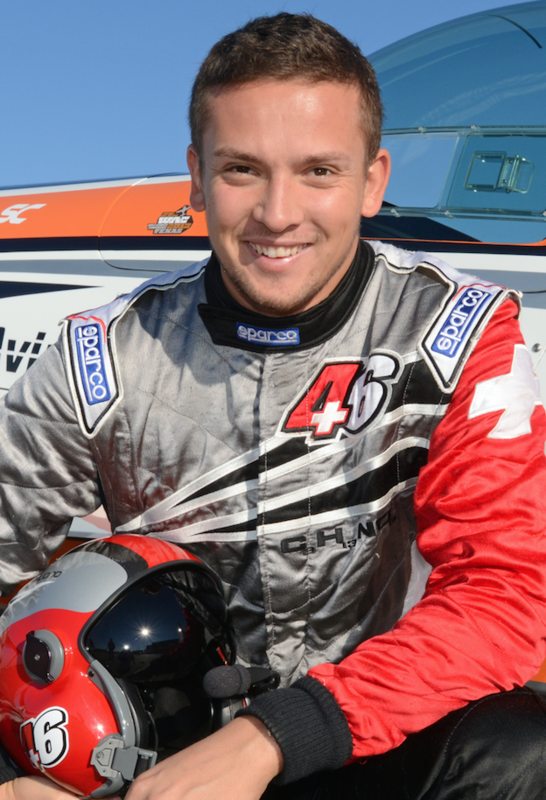 Ever since, he has relentlessly trained in aerobatic flying and is now a member of the Swiss Unlimited Aerobatic Team, flying 46 Aviation’s Extra 330SC. Emiliano’s broad interest in all things aviation also led him the pure magic felt by historical aircraft. The Bucker Jungmann was the first aircraft of yester-year to join the ever expanding 46 Aviation aeroplane time capsule! Emiliano manages the restoration, maintenance and air-time of these remarkable aircraft to keep them up in the air, where they can be presented to the public and keep their history alive! Danielle is 46 Aviation’s wingwalking Show-woman and the wife of Pilot Emiliano. A mutual love for aviation (although in very different disciplines!) led Emiliano and Danielle’s paths to cross at a Swiss airshow. They eventually joined forces at home AND in the air by creating Switzerlands first ever Wingwalking team! Originally from England, Danielle dreamed of becoming a wingwalker since she was just a little girl, after seeing a wingwalking routine at a local airshow. She has now been a professional wingwalker since 2007 and has approximately 1000 wingwalking flights under her belt. Since establishing the 46 Aviation wingwalking team, she focuses on exhibiting the original style of wingwalking! 46 Aviation Wingwalking recreates the nostalgia and romantic spirit of the 1920’s barnstorming days as Danielle walks out in-between her husbands wings of 46 Aviations 1943 Boeing Stearman biplane. The aircraft has been specifically modified for wingwalking duties gaining its legal certification.